Do what you love, love what you do. 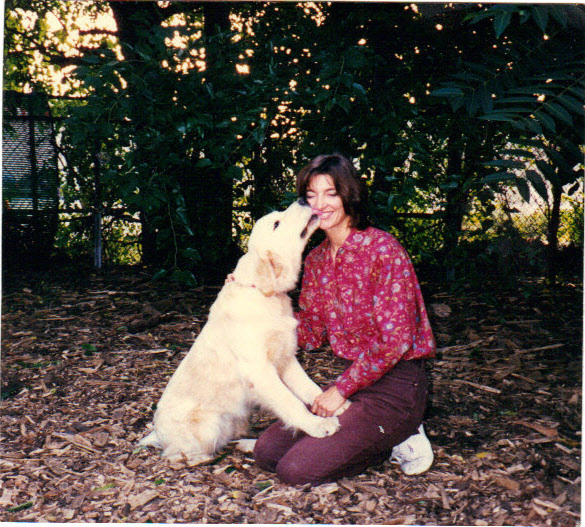 This marks my 20th year as a full-time professional dog trainer, which makes me a lucky girl. 1. Each dog is different and deserves to be treated as an individual. Whether in a private home setting or in class, a good trainer must make the dog and owner feel they are special. 2. Trainers must be creative with solutions to problems. If waving a treat in front of the dog isn’t working, try something else. While you are evaluating the dog, the owner is evaluating you. Impress them with your ability to adapt. 3. Dogs cannot be put into a box, such as ‘Dog A responds to stimuli thusly, so use solution B to modify behavior’. This sounds like you read it in a book, which the owner can get for free at the library. 4. Dogs are fantastic observers of body language. If you don’t care for a certain breed, or small dogs, or hairy dogs, or dogs with big ears, or dogs that bark, you’d better find something you love about that particular dog, or the dog won’t respond to your training cues. 5. Compliment the dog owner, sincerely, on their efforts to improve their relationship with the dog through training. They have hired a trainer to enhance this relationship and expect to reap some benefits from it. Telling the owner “Herding breeds are going to chase and nip your kids, it’s just how it is” will not cut it. Seriously. 6. Dog owners can shape good behavior and encourage good traits through training. This doesn’t have to start with puppies; you can do this with adult dogs. Pick a situation that comes up often, and rehearse what you want the dog to do. For example, someone comes to your door and rings the bell. Dog goes crazy. Now, give him something else to do, like the ‘Come’ command with a tasty treat at the end of this rainbow. Congrats all around. 7. Dog owners can also shape bad behavior by reacting inappropriately to their dog’s bad habits. Example: dog jumps up on the owner’s leg. Owner looks down and touches dog. Dog is inadvertently rewarded for jumping up. Instead, encourage the owner to use a command like “Back up” and then “Sit”, before touching the dog. Dog develops new and better habit. Congrats all around. 8. Observe the family dynamic and work within it. You won’t fundamentally change the habits of a freewheeling household with four rowdy kids, so don’t try. Besides, you’ll look like a Debbie Downer. Instead, help parents with redirecting techniques (see number 6). Counsel parents to give the dog a peaceful place, like a bed under a table or crate to go to when a doggie time-out is in order. 9. Body language. Use it! Observe dogs at a dog park or in a daycare situation. Or, if you have more than one dog, watch them compete for your attention. You’ll see body blocks, leaning, pushing, deference, assertion, etc. Humans can successfully use some of these cues to get respect from the dog without being harsh. Think of when you open the front door to take the dog out. Does he dart out in front of you? Would he do that to another dog he respected? Conversely, think of the shy dog. Will he enjoy your bending directly over him for an eye-to-eye greeting? Hardly. Instead, turn sideways and bend down without looking at him. Talk sweetly when he sniffs you. 10. Quit while you are ahead. After a couple of successful repetitions at one thing, do something else. This keeps the dog and owner from getting bored and burned out. Change the venue, add new challenges, and always come back to something easy before the lesson ends. Congrats all around. Year one of dog training. A tough job. I really appreciate your flexible philosophy for working with dogs. It makes sense to think of each dog as an individual , and it is dependent on the trainers/handlers and owners to figure out a solution to the problem. Thanks for this open minded point of view. Having owned three dogs in my life, I can reflect on how each one was just a little different and had his or her own talents and traits that made them special!